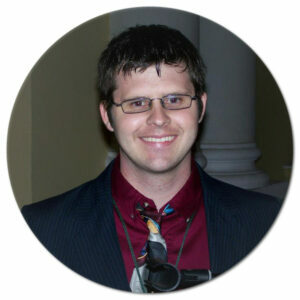 Nathan Merrill is a medical doctor from the United States who serves on Finding Hope Ministries’ board directors. He has been involved in foreign mission work for much of his life, spreading the Word of God, providing medical care and humanitarian assistance in Mexico, Argentina, Venezuela, Belize, Russia, and Romania. In addition to his foreign mission work, Nathan is a capital investor and the chief operations officer of European Group, a company in Sibiu, Romania. He has also been very active in the Intelligent Design community. He has spoken at various conference and churches on the Evolution versus Creation debate, as well as written articles for a well-known Creation ministry, Answers in Genesis. Currently, he is pursuing his Masters of Divinity degree from Liberty University Seminary. Anca has been actively engaged in helping underprivileged people for much of her adult life. She began working at House of Hope, a children’s home for orphan girls, when she was a teenager. Later she opened up a small home in Timisoara, Romania for adult orphan girls. She is the most active volunteer for Finding Hope Ministries, leading weekly Bible studies for adult orphan girls, helping poor families, coordinating with orphanage staff, child protection services, social workers, etc… to help care for abandoned children. Anca attended Christ for the Nations Bible School and Lancaster Bible college, where she studied social work. Rick Murphy, an ordained minister and member of the Finding Hope board of directors, has dedicated his life to helping others, especially the down and out. He has been involved in homeless ministry, prison outreach, and addiction/recovery ministries for many years. He also served as a hospice and nursing home chaplain. Moreover, he has devoted much time and effort towards helping children at various children’s homes throughout western North Carolina. 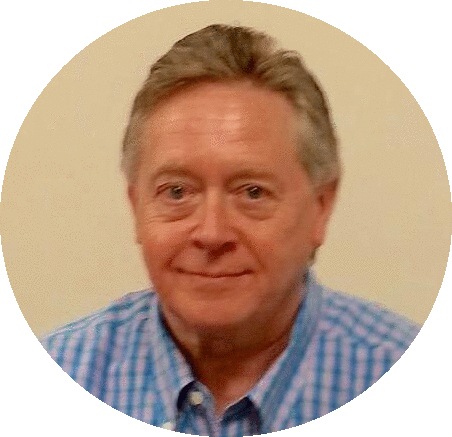 Currently, Rick works as an employment specialist and job coach for the mentally handicap. He assists them in finding and keeping employment. No matter where Rick works or volunteers his the compassion and empathy for the downtrodden is unmatched. Adam Bambrick B.A. & Jessica Bambrick B.S. Adam and Jessica Bambrick were married in August of 2009. 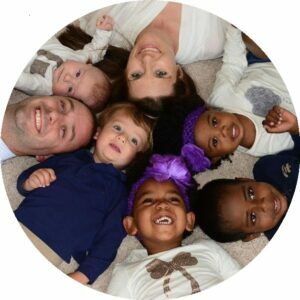 After only six years of marriage, they have been blessed with five children. Spending time together as a family while teaching their children about the mercy and grace of the Lord is one of their greatest joys. Showing love to orphans has been and continues to be a large part of their lives. Adam serves on Finding Hope Ministries’ board of directors. Maria is a blessing here at Finding Hope Ministries. 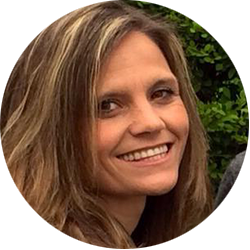 She is a volunteer from Bogota, Columbia and has a great passion for taking care of children. Having worked in America for three years as an Au Pair, she has perfected the motherly approach that keeps the children both happy and behaving properly. We are very grateful for all the time she continues to spend with us here. Logan joined us in January of 2016 and has been in charge of our social media. He also assists the ministry by writing for, maintaining and updating our website and newsletters. A recent graduate of the University of North Carolina at Charlotte, Logan is a great asset to us here and often spends months at a time volunteering here on the ground. He also assists in fundraising when he is the United States. Cipi, as we call him, is constantly helping out here at our home. Having grown up as an orphan himself, he has a passion for aiding children and is always teaching the children songs about the Lord and playing music for them. He is beloved here and a large presence in the local evangelical community.